Helen Macdonald has a deeply personal connection with nature. In the wake of her father's death, she began raising a young goshawk — a breed known to be "bulkier, bloodier, deadlier [and] scarier" than others. Her experience of training the bird while grappling with her own grief formed the basis of "H is for Hawk," her award-winning memoir that was named one of the New York Times 10 best books of the year in 2015. • More: Taming birds and grief in "H is for Hawk"
This connection to nature began in her childhood, she told MPR News host Kerri Miller. "I had one of those idyllic childhoods where I roamed feral in the landscape around my house. I turned over rocks and looked for bugs and climbed trees and fell out of a few," she said. "I don't know many kids who are doing that now." In the wake of her memoir's wild success, an American publisher has re-released Macdonald's poetry collection, "Shaler's Fish," which investigates many of the same topics as "H is for Hawk." The poems, she joked, were written "back in the day when I just wore black." She wrote them while a student at Cambridge, and they were published in the early 1990s. Now available in the U.S., the collection explores "our relationship with the natural world," Macdonald said. Nature writing, once a revered genre filled with household names, has become a lesser-known field in literature in recent years. This isolation from nature, Macdonald said, can have a worrying effect. "If you don't know things, then you don't love them. If you don't love them, why would you care if they disappeared?" she said. 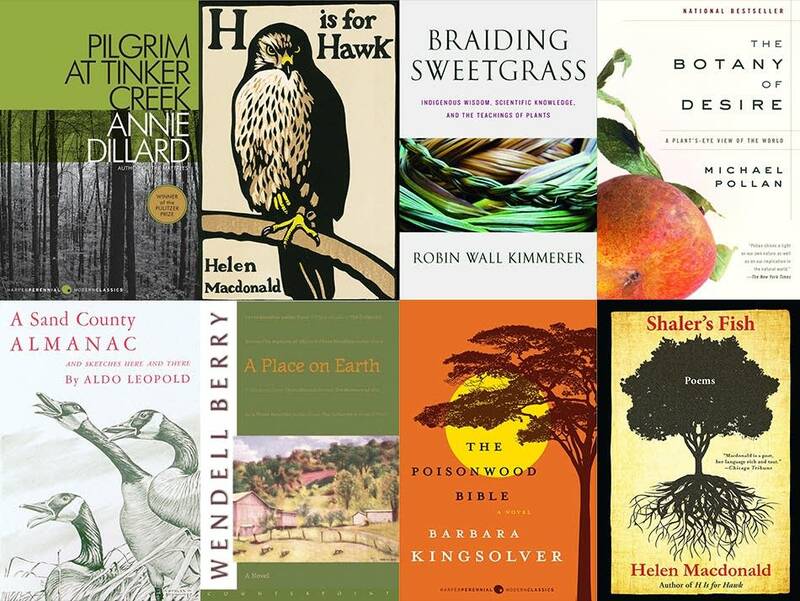 Macdonald and the audience compiled a list of recommendations for must-read nature writing. For the full discussion with Helen Macdonald, use the audio player above.